The DPJB range was designed to provide a safe solution for the connection of down hole pumps to offshore installations. It provides phase segregation as standard and is fault rated to 50kA for one second. Manufactured from 316L stainless, the DPJB can be configured as through box or with in/out connectors at same end. 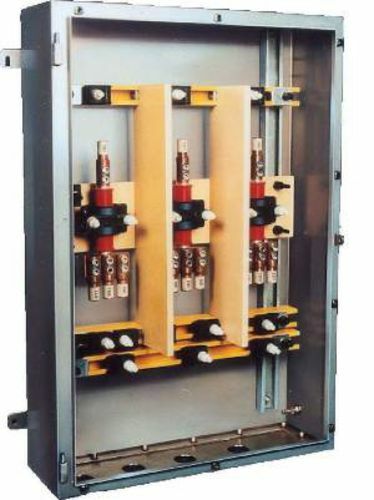 The DPJB is suitable for high voltage applications up to a maximum of 11kV and is fully ATEX compliant.